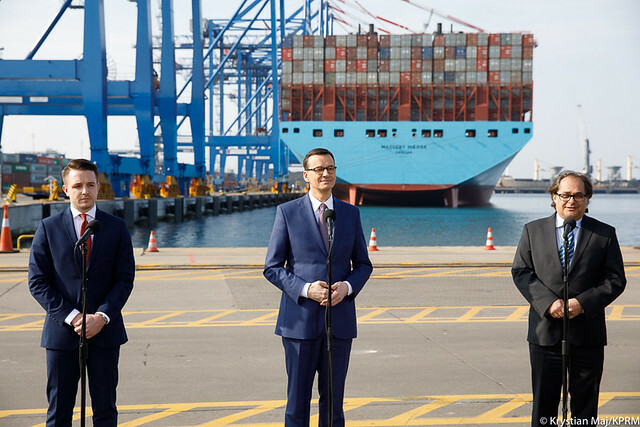 March 30, 2019 Prime Minister Mateusz Morawiecki visited DCT Gdansk container terminal. The guest at DCT was also the Minister of Maritime Economy Marek Gróbarczyk. Both gentlemen expressed their belief in a huge development opportunities of the Gdansk terminal, as well as all Polish sea ports. 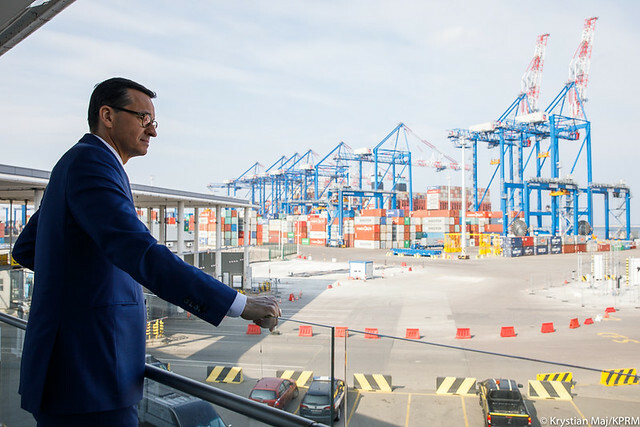 “[..]We can take advantage of the potential of the Polish sea, and today Gdańsk, Tri-City and Szczecin are our windows to the world – said the Prime Minister Morawiecki. 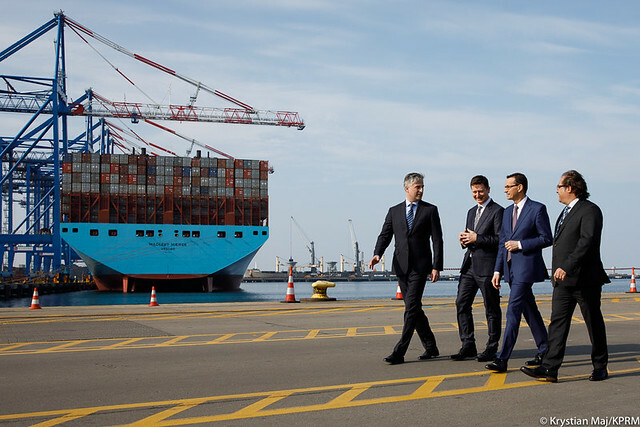 Handling over 1,9M TEU in 2018, DCT has established itself as No 15 among top European container ports. Now the terminal is implementing the T2b investment, which includes buying new terminal equipment, extending the yard area, fully optimizing and automating the gate complex for truck drivers and significantly upgrading rail capacity.